MotoGP tyre manufacturer Michelin will take the almost-unprecedented step of running a special wet track test later this season at Valencia, with plans to douse the Spanish track in water to test their rain tyres. They’ll run the special one-day test, open to all teams and riders, directly after the return to Europe from the American opening leg of the championship, moving from the Jerez round and it’s own one-day test to the other side of Spain and the Ricardo Tormo circuit. 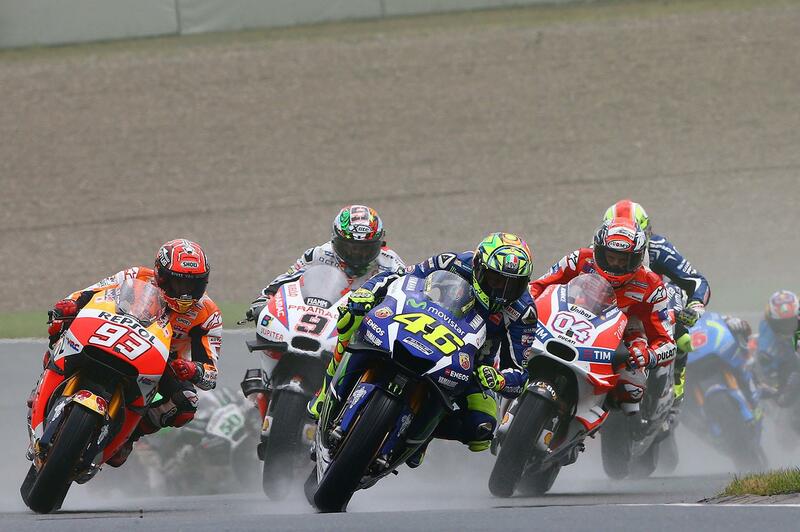 While they have a special track at their home base in Clermont Ferrard that can simulate rain using a sprinkler system, the planned Valencia test will mark the first time since the days of 500GP that they’re ran MotoGP bikes on an artificially soaked surface. “We do a lot of dry testing, but normally if it rains during a dry test we don’t get anyone on track. So we knew that if we wanted to work on the wet tyres we’d have to organise something specific, and see who will turn up – but hopefully a few will! However, with the inherent risks that wet weather riding brings, it remains to be seen how many of the championship front-runners will take Michelin up on their offer, although MCN believes that a number of factory and satellite teams have already signed up to take part.